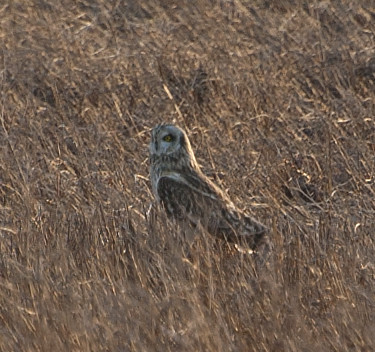 I squeezed in an after work trip to Church Road in Hamlin to see the short-eared owls on a recent business trip to Rochester. 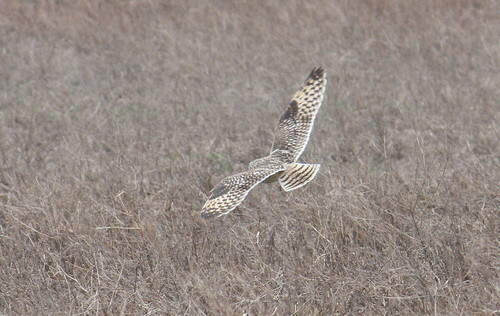 There were 5-6 owls variously perched in trees, hunting low over the field, pouncing on prey or landing in the field. Thanks to Jim A. for great directions and the genesee list for posting about the owls. 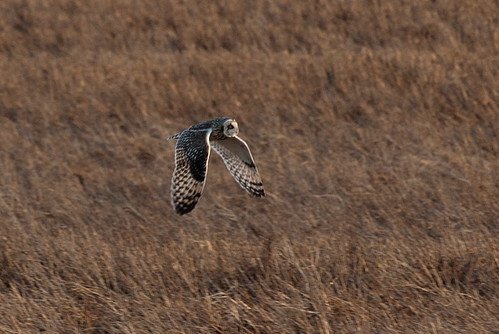 The short-eared owl is widespread, found on all continents except Australia and Anarctica. 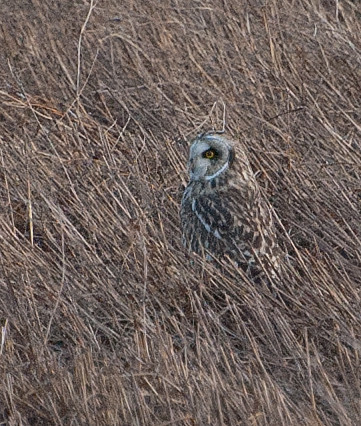 However, according to the DEC, the short-eared owl is listed as endangered in NY. Seems its preferred meals are mice and moles, but will also dine on its smaller brethren and some insects. 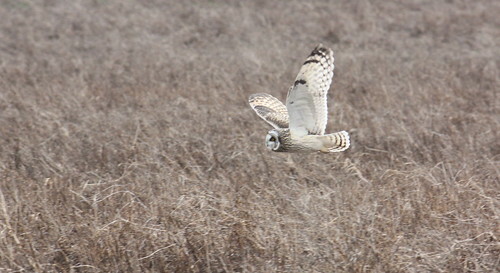 NY is on the southern edge of the short-eared owls breeding territory. This entry was posted on 22 March 2012 by patacoate. It was filed under iPhone . Wow! I love the light in that first shot! Beautiful. Nice pics! I think I’ve managed to see one, maybe two owls not in captivity in my entire and storied birding career. Key word on your birding career is storied! Thanks for reading and always enjoy your comments. Lynda, definitely had you on my mind while watching the owls, you’d have loved it. Need a road trip down your way for some spring birding! Misty Dawn, thanks for stopping by and your kind comment. Cool! I love listening to owls, but we have very few on our property. The only time they were abundant was a few summers ago, when we had a huge amount of eastern screech owls. Beautiful! I don’t think I’ve seen one of these.